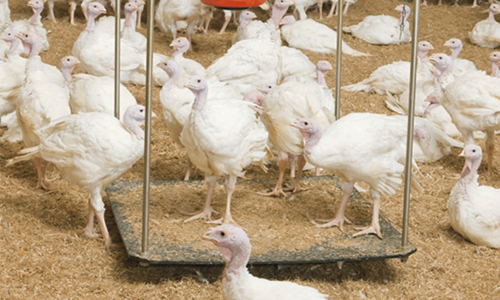 Swing 70 is a poultry scale for turkey production designed for weights up to 70 kg. It consists of a 3.3 x 3.3 foot (1x1m) square plastic platform which is fixed to two stainless steel brackets. It is suspended by 4 ropes that are connected to the load cell. Using the Swing 70 will assist you in precise determination of average daily weights, leading to better production.